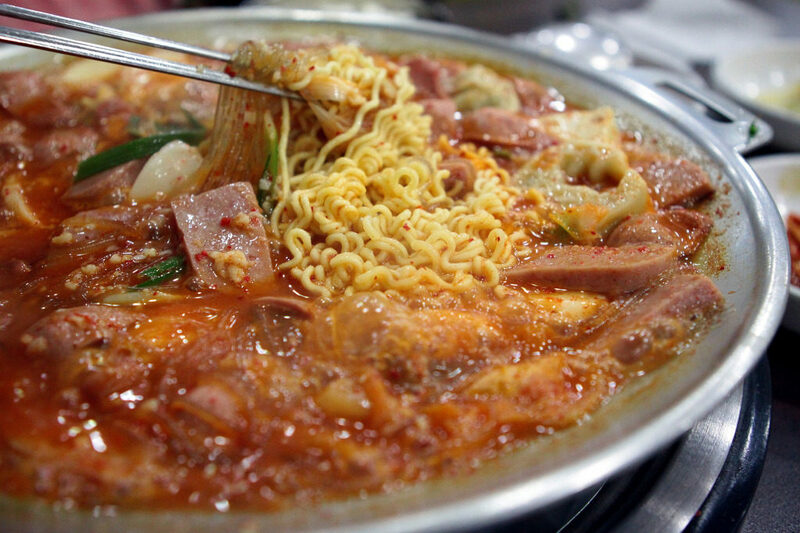 Budae Jjigae (부대찌개) is one of Korea’s leading fusion dishes. It’s commonly found nearby American Army Bases. The soup was also called the ‘Johnson Tang (존슨 탕)’ combining surname of former American president Lyndon B. Johnson and Tang (탕 = Soup). 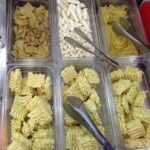 The dish often incorporates such modern ingredients as instant noodles and sliced American cheese. 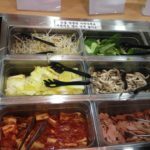 Other ingredients may include ground beef, sliced sausages, baked beans, minari, onions, green onions, tteok, tofu, chili peppers,macaroni, garlic, mushrooms, and other vegetables in season. 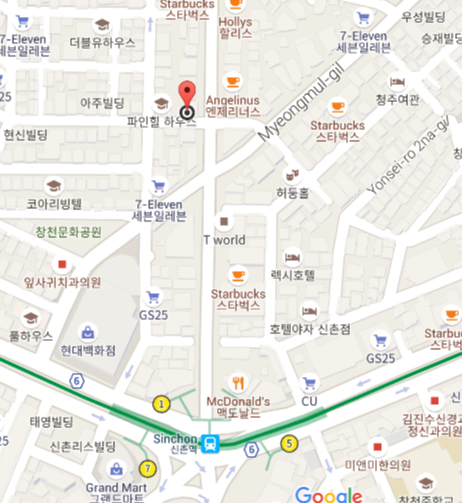 Normally, it takes around 8000 – 10000 Won per person in a regular set without rice or cheese (and not a buffet). But if you really like Budae Jjigae or you found there is not enough to eat, why don’t you choose the Budae Jjigae buffet? 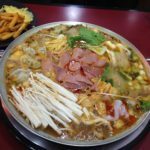 Actually there are lots of cheap and delicious Budae jjigae buffet restaurants in Seoul. Here is one of them we would like to introduce to you. 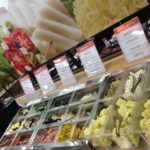 This was a really satisfying meal, with a wide variety of meats and vegetables in an all you can eat without time limitation. Also, the drinks are free too…. There was also a small selection of cooked dishes, like the french fried, pumpkin salad. 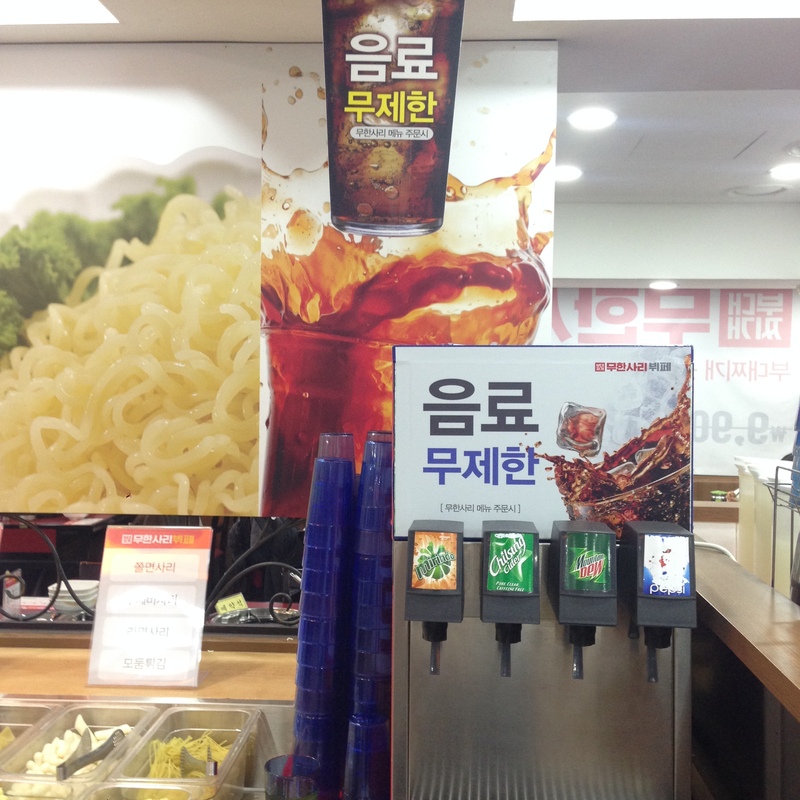 Everything is free flow, from rice/noodles to meats and drinks. And it is really delicious!!! 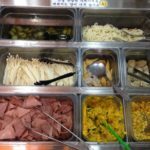 This entry was posted in FOOD and tagged buffet, delicious, Food, inexpensive, Korea, Korean food, Seoul, Sinchon.